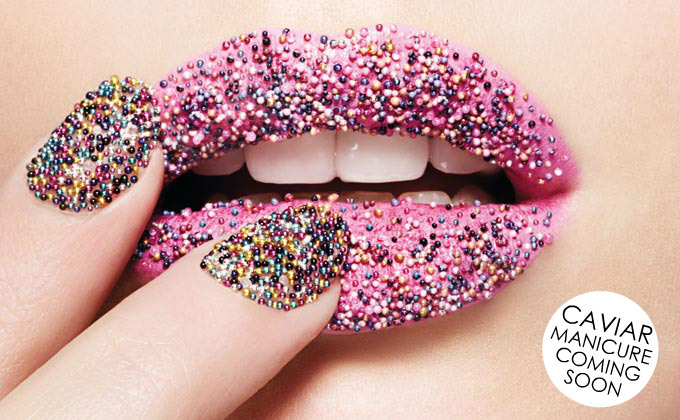 Caviar -is not just for eating ... its now a nail art ! 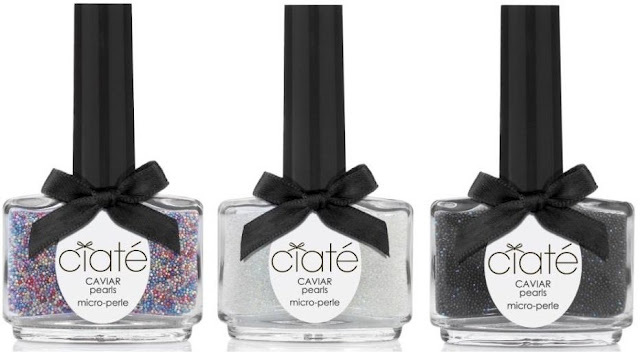 for those of us ready to take that aspiration of livable luxury to the next level there’s Ciaté Caviar Manicure, (A PROUD uk BRAND) .. is the latest craze in nail décor. 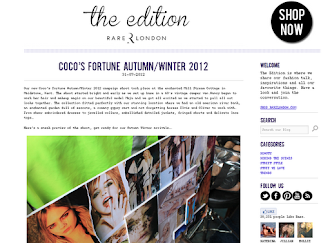 The system was created by Ciaté’s creative director Charlotte Knight, who wanted three-dimensional nails for a magazine cover shoot that were delicate and feminine—and totally indulgent. These tiny beads were the perfect answer. To achieve the look is actually a fairly simple DIY project. One could easily grab their favorite nail polish, purchase small beads from their local craft store, and have a field day. 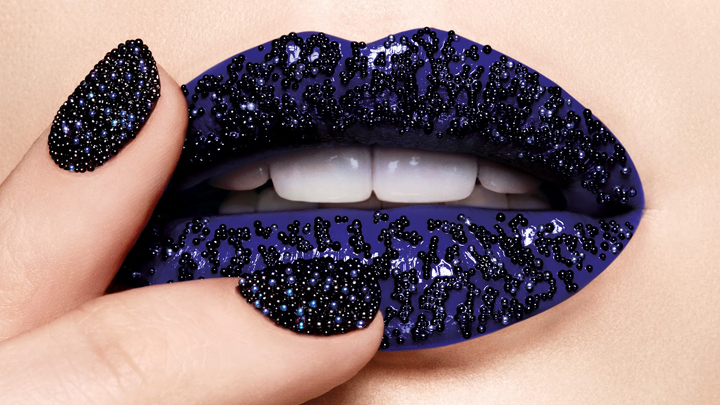 Yet, UK nail polish brand, Ciate, has decided to make achieving the look even easier with their innovative “Caviar Manicure” kits. 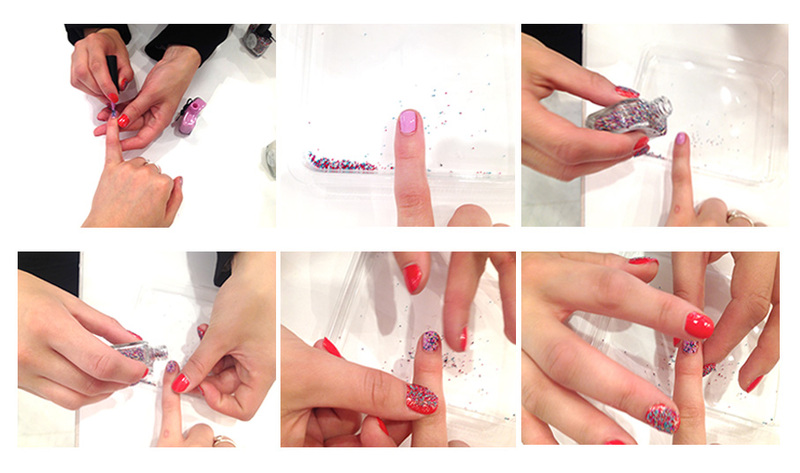 The kits are a one-stop-shop as they consist of a nail lacquer and beads. 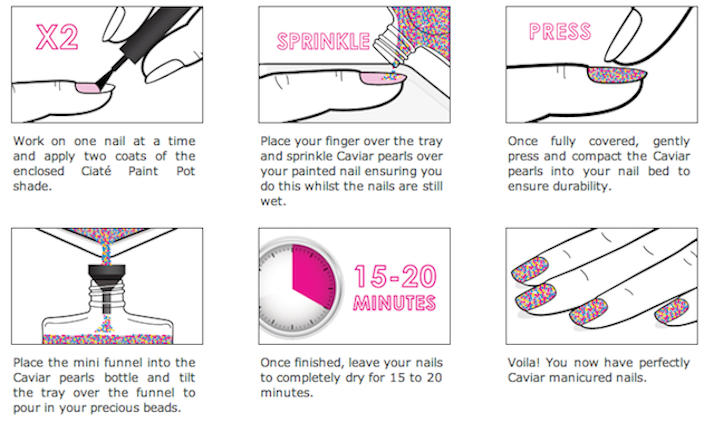 Black - BLACK PEARLSA little cartoon to show you just how easy it is .. this is a STEP - BY- STEP that Ciate includes with each kit. It took about 10 minutes to dry, as to how it wore, I have to say I was disappointed as after 3 days the finish started to come off. 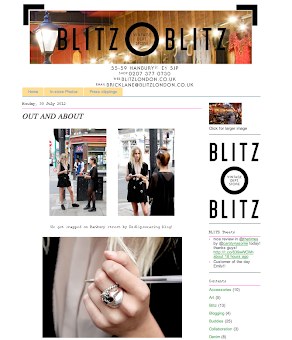 But for that 'wow' effect its defiantly worth trying! . This is how the nail varnishes look like .. if you spill some whilst applying with a small cylinder included its very easy to place them back.